It sure is a good thing she has been able to spend million$ in state funds for a perpetual vacation. Otherwise, this "feeling of being in prison" can sound pretty bad by the time her divorce lawyer gets done frosting and decorating the cake. Comrade Tovarichi, don't you mean "Release the Kraken!"? In this case, results are identical. Poor little bird, trapped in a gilded cage. Of course she needs to spend milions of dollars escaping whenver possible...to do less would be inhuman, sequester be damned. Ah yes, the wonderful life in the gulag. Such a luck female unit, she it. 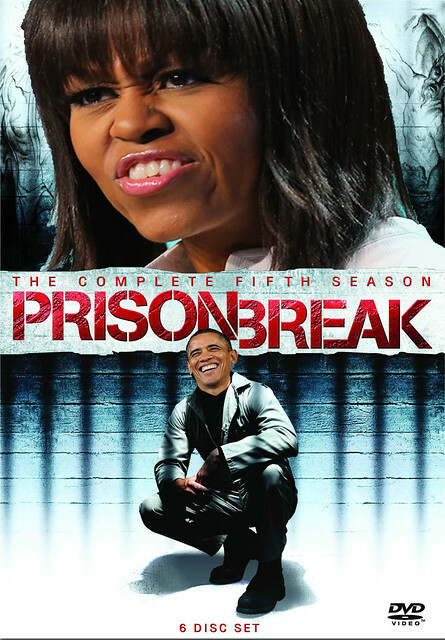 #MichellesPrison- Yesterday, I watched the chain gang breaking down rocks. Tiffany's is an ugly, ugly place. that heinous prison, the White House. Obviously Comrade Red Square, Comrade Chery is one in the Kollective and her membership must be expedited post hastily.